Please visit http://careers.bhel.in/etrlive/jsp/ for all the details and submission of application Online. State Bank of India (SBI) invites applications from Indian citizens for appointment in the Clerical Cadre posts of Control Room Operators (CROs), Armourers and Pharmacists in State Bank Group.. Please visit SBI website http://sbi.co.in/ and click on the Recruitment section, where you will find this details and application format for this vacancy alongwith payment voucher. SBIGICL invites applications from eligible candidates for appointment in the following positions. How to Apply : Candidates should forward their application in the prescribed format (Application Format) only, by email to recruitment.phase2@sbigeneral.in before 2nd September 2009. Please visit SBI website http://sbi.co.in/ and click on the Recruitment section, where you will find this details and application format for this vacancy. Gautam Buddha University (GBU) invites applications for faculty positions at various levles in Management, Information & Comminication Technology, Biotechnology, Law, Humanities and Social Sciences, Engineering & Applied Sciences, Bhiddhist Studies & Civilisation and Vocational Studies. How to Apply : Apply on the prescribed application form and filled up form should be sent to the Secretary, Chhatisgarh Public Service Commission, Shankar Nagar Road, Raipur - 492001 (Chhatisgarh) on or before 03/10/2009. Please View http://www.psc.cg.gov.in/pdf/Advertisement/Professor,%20Reader,%20Scientific-New-2009.pdf for detailed information and application form. 52nd Independence of Malaysia - Merdeka! TODAY, August 31st is a significant moment in Malaysia's history. 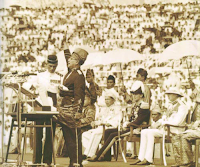 After over 400 years of foreign rule, Tunku Abdul Rahman, Malaysia's first prime minister has created history when he declared "Merdeka" (Freedom) for the country in 1957. The day Malaysia finally broke free from colonial rule... the day when all the hard work to break this country free began to make some sense. Nothing can describe freedom. Independence means everything and for a nation, primarily the freedom to chart the course of its own destiny. Finally, Malaysian are able to celebrate that freedom, each year, on this date. It is a triumphal celebration of our political and economic freedom, the freedom of being our own master, to work towards a chosen goal and to pause and savour the great distance we've covered since Independence when we want to. Prior to Tunku uttering the famous words, "Merdeka", on this date, 1957, he laid the groundwork for Malaysia's independence from the British. With the nation's interest at heart, he went to London in 1954 and 1955 with a delegation to seek independence. And he succeeded. That's why he is known as "Bapa Kemerdekaan" (Father of Independence). The iconic photo of him with his right hand raised as he declared Merdeka is probably the most famous photograph in the country. Tunku was the prime minister of Malaysia from 1957 to 1970. Independence Day means different things to different people. To some, it is nothing more than another holiday. What can the twentysomethings of Malaysia, born long after independence, possibly understand of the days of the Empire and the journey towards independence? We who have never known British rule, and for whom Communism is an outdated ideology rather than the subject of decades of guerilla warfare. We who have never sung God Save the King, or saluted the Union Jack, and for whom "Imperialism" and "Colonialism" are simply high scores in a round of Scrabble might find ourselves a bit befuddled when thinking about independence. Certainly, we can enjoy the long weekend; we can stick flags onto our cars and yes, we can be proud of our country. For others, it is time to reflect on the past and look into the future. As Malaysians take a day off from work to celebrate Merdeka, let's sit down and recap the good times, take stock of the country's achievements, bask in the knowledge that in his own way, the Malaysian citizen has contributed to the nation's development and laid the foundation work for the achievement of future vision. This is our 52nd year of Independence. We should be happy and proud that Malaysia is among a handful of independent countries which are successful. For this, we are thankful to God Almighty. When independence was sought, the colonised people were naturally hopeful that their destiny would be better determined when they become the nation's own administrators. But expectations do not always become realities. In fact, very often, hope turns into disappointment, due to internal power struggles, instability and the inability to administer and govern efficiently. Let's stay united in spirit and effort because the march towards success is far from over. We must march on to the year 2020. When come to this date, one patriotic song which sticks to my mind and makes me proud to be a Malaysian is none other that is well remembered and hummed along than that of the highly celebrated Merdeka song by the late Sudirman Arshad, Tanggal 31. This patriotic song really rouse the spirit of Merdeka. Though 52 years have passed since these words first reverberated in the heart of every Malaysian, we still revel in the joy of counting down the minutes to the date when the country achieved its independence. I am proud of Malaysia, a fascinating, peaceful and blessed country with rich cultural heritage. I salute our national flag on this day with pride, honour and dignity as it symbolises the unconditional love of the multi-racial caring and loving society. As a proud Malaysia, what can I say except to once again to utter that good old phrase. MERDEKA!! MERDEKA!! MERDEKA!! Aplication Fee : Rs.200/- (Rs.100/- for SC) cash in the Head Office of the Corporation or in the form of Postal Order / Bank Demand Draft payable to Managing Director, HWC at Panchkula / Chandigarh. How to Apply : Application in the prescribed format along with the relevant documents, complete in all respect in the office of Secretary should reach on or before 12/10/2009. Please visit http://www.hwc.nic.in/appt_notice.html details and application form. Interested candidates are advised to present themselves for interview in the Administrative Block, University Campus with attested photo-copies of relevant documents, one passport size photograph and an application on plain paper, providing a summary account of their academic qualification and academic grades/scores. The remuneration to the Guest Faculty will be paid on the basis of lectures to be actually delivered subject to a maximum amount decided by the university. Please visit http://www.mjpru.ac.in/ for more information. How to Apply : Applications in prescribed format alongwith a DD of Rs.50/- (no fee from SC/ST/PH) in favour of National Seeds Corporation Limited payable at Delhi should be sent in an envelope superscribing the name of the post applied for to the General Manager (Admn. ), National Seeds Corporation Limited Beej Bhavan, Pusa Complex, New Delhi on or before 21/09/2009. How to Apply : The application along with the copies of testimonials and certificates should be sent to Dy. Director (Admn. ), CCRAS at the above address on or before 28/09/2009. Please visit http://ccras.nic.in/Notice_And_Forms/20081011_AdvertisementsForAppointments.htm for details and application form. How to Apply : Interested candidates should their application in prescribed format with a passport size photograph, copies of certificates/testimonials and application fee of Rs.500/- through DD drawn in favour of NTPC SAIL Power Company Pvt. Ltd. payable at New Delhi to Sr. Manager (HR), NSPCL, 4th Floor, NBCC Tower, 15 Bhikaji Cama Place, New Delhi-110066 on or before 30/09/2009. Please visit http://www.nspcl.co.in/careers.php as the details will be published here. Please view http://recindia.nic.in/download/RECPDCL_Recrtmt_Engineers.pdf for details and application format. Government of India has set up a national Centre for Climate Change Research (CCCR) at IITM to build research strengths. IITM is seeking to fill 20 senior scientific positions for the newly launched Centre for Climate Change Research (CCCR) at Pune. The Scientific Positions are to advance research in Climate Change in the areas of (i) Physical Processes, (ii) Climate Modelling, (iii) Climate Scenarios Development, (iv) Impact Assessment, and (v) Observed Changes and Data Products. How to Apply : Application in the prescribed format indicating name of the post applied with copies of certificates of relevance should reach the below address on or before 15/10/2009. The candidates should arrange three letters of reference to be sent directly from three scientists familiar with candidate’s work. Separate applications should be submitted for each post. Please view http://www.tropmet.res.in/jobs_pdf/1251378753advt_CCCR-scientist.pdf for details and application form. How to Apply : There are 2 types of application form, Form-1 is to be send on or before 25/09/2009 to TISS together with the fee of Rs.300/- by Demand Draft and Form-II is to be filled online. How to Apply : Application should be submitted on the prescribed OMR Forms, available at designated posts offices in UP. Application completed in all respects must reach the “Secretary, (Deptt No..........) Public Service Commission, UP, 10, Kasturba Gandhi Marg, Allahabad-211018” at the Commission’s office either by registered post or by hand up to 5.00 p.m. on or before 22/09/2009. Complete details will be made available at http://uppsc.org.in/ or kindly see Employment News dated 29 August, 2009. Please view http://www.suratmunicipal.gov.in/content/jobs/files/24082009.pdf for details. Application Fee : Rs.1000/- for Officer posts and Rs.750/- for other posts to be deposited in into Account No.405046333 with the Indian Bank, Mehrauli, Institutional Area, New Delhi – 110016 (Branch Code : 943). Fee: Fee at the following rates should be deposited in the Haryana Govt. Treasury under the head "0051 - H.P.S.C.-(103)-Staff Selection Commission, Haryana- Application fee and other receipts"
General- Rs.150/- for all the posts having pay scale more or Rs.4000-6000 and Rs.100/- for the posts of Conductor and Computer/ Statistical Clerk. No concession of fee for SC/BC/ESM from other states. Candidates from outside will be treated as General and should send fee by Postal Order which should be in the favour of "Secretary, Haryana Staff Selection Commission" payable Panchkula. How to apply : Application forms complete in all respect - only one form should be filled by the candidate - in their own handwriting in capital letters and signed in the specified space should be sent only through Registered Post to the Secretary, Haryana Staff Selection Commission, Bay No 67-70, Sector-2, Panchkula-134151. All the column of the application form should be filled in. The last date is 29/09/2009. Application Fee : D.D. of Rs.250/- (Rs.100/- for SC/ST) drawn in favour of "Registrar, Hidayatullah National Law University, Raipur". How to Apply : Interested candidates can apply with Bio-data to Executive Director (Personnel), Himachal Pradesh Power Corporation Limited, Himfed Bhawan, Panjri, (Below Old MLA Quarters), Shimla-171005. Last Date for submission of the application is 22/09/2009. Professor in Computer Science & Engineering, Information Technology, Electronics & Communication Engineering, Computer Application. Assistant Professor in Computer Science & Engineering, Information Technology, Electronics & Communication Engineering, Computer Application. Lecturer in Computer Science & Engineering & Electronics & Communication Engineering. The qualification and experience required will be as per AICTE norms, with Ph.D degree being desirable for the Assistant Professor's post and at least 1 year experience in teaching in an Engineering College being desirable in the Lecturer post. The pay scales of various categories of teacher will be as per AICTE norms. Application in plain paper with bio data must be submitted to RCC Institute of Information Technology with in 9th September 2009. Please visit http://www.rcciit.in for more information. Applications are invited for appointment in Officer Scale-I and Office Assistant Cadre in Prathama Bank. Fee : Rs.300/- in the form of Pay Order/ DD (Rs. 50/- for SC/PH candidates) in favour of "Prathama Bank - Recruitment Project 2009 (Post-1)" for Officers and "Prathama Bank - Recruitment Project 2009 (Post-2)" for Assistant/ Clerk payable at Gurgaon. How to Apply: Applications in prescribed format for Officer should be sent to Post Box No.8469, Mandpeshwar, Borivali West, Mumbai – 400103 and the application for the post of Assistants/ Clerks should be sent to Post Box No.9054, Goregaon - East, Mumbai – 400063. Last Date : The last date of receipt of application is 17/09/2009. Fee Payable : Rs.50/- (No fee for Women/SC/ST and Ex-Servicemen) by means of Central Recruitment Fee Stamps only, available at head post office all over the country. Last date of the submit of the application in the prescribed format : 22/09/2009. .
How to Apply : Applications giving complete bio-data typed, strictly in the prescribed format in duplicate along with copies of Degrees and Experience Cer­tificates, Salary certificate showing last drawn pay & allowances, Two photos attested by self (one of which is to be pasted on the application) and Crossed Demand Draft of Rs. 50/- payable to ‘UGC-DAE CSR’ at Indore must reach Administrative Officer-II, UGC-DAE Consortium for Scientific Research, University Campus, Khandwa Road, Indore -452 001 latest by 19th October, 2009. Please view http://www.csr.ernet.in/csr/jobs/adv_2009_5.doc for details and application format. How to Apply : Application in the prescribed format may be sent to the Post Box No.27662, Malad (East), Mumbai-400097 only by ordinary post so as to reach on or before 30/09/2009. Visit http://www.mahagenco.in/ for further information and application format. KITCO Limited (formerly Kerala Industrial and Technical Consultancy Organisation Ltd.), India’s first TCO (Technical Consultancy Organisation), was established in 1972 by Industrial Development Bank of India (IDBI) and Govt. of Kerala along with Public Sector Banks for aiding in Industrialization of the state of Kerala. Kitco is looking for dynamic and energetic Engineers in Civil/ Electrical/ Mechanical streams. Addional weightage will be given to those candidates who are willing to work in North India and abroad. Experience : A minimum of 2 years post qualification experience. Appointment will be on contract basis, but it is likely to be regularised in future. Application in the prescribed form along with the bio-data and DD of Rs.200/- (Rs.100/- in case of SC/ST) in the name of University payable at Bhopal should be sent to the above mentioned address latest by 30/09/2009. Age is relaxable by 5 years for SC/ST, 3 years for OBC, For Ex-servicemen age is relaxable to the extent of number of years in Military Service subject to maximum 3 years beyond prescribed age limit of the post. For more information and application form, please view http://www.mazagondock.gov.in/career_may09/070509/HR-O-06_AD_website_070509.pdf also see corrigendum at the website under Career section. How to Apply :Candidates fulfilling the criteria laid down should send their application to ED(HR), PPCL, Regd. Office : Himadri, Rajghat Power House Complex, New Delhi – 110 002, on the prescribed proforma, accompanied by one recent passport size photograph, attested copies of certificates and demand draft of Rs. 100/- in favour of PPCL, payable at New Delhi, within 30 days. 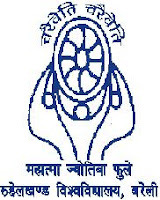 Please visit http://www.ignou.ac.in/adv/240809/index1.html for Academic posts and application form and visit http://www.ignou.ac.in/adv/240809/index.html for Administrative posts. Staff Nurse : 90 posts (UR-47, OBC-24, SC-13, ST-6), Pay Scale : Rs.9300-34800 Grade Pay Rs. 4600/- , Qualification : Diploma in General Nursing and Midwifery or equivalent. (ii) Registered as Nurse; and (iii) Registered as Midwife (or) equivalent with any State Nursing Council., Age : 37 years, relaxation as per rules. Application Fee : Demand Draft for Rs 500 or Rs 250 (SC/ST) drawn in favour of the Accounts Officer, JIPMER, payable at Pondicherry. How to Apply : The duly filled in application forms for the post should be superscribed on the envelope as “Application for the post of ______” and should reach to the ‘Director, JIPMER, Dhanvantari Nagar, Puducherry-605006’ on or before 05/10/2009.